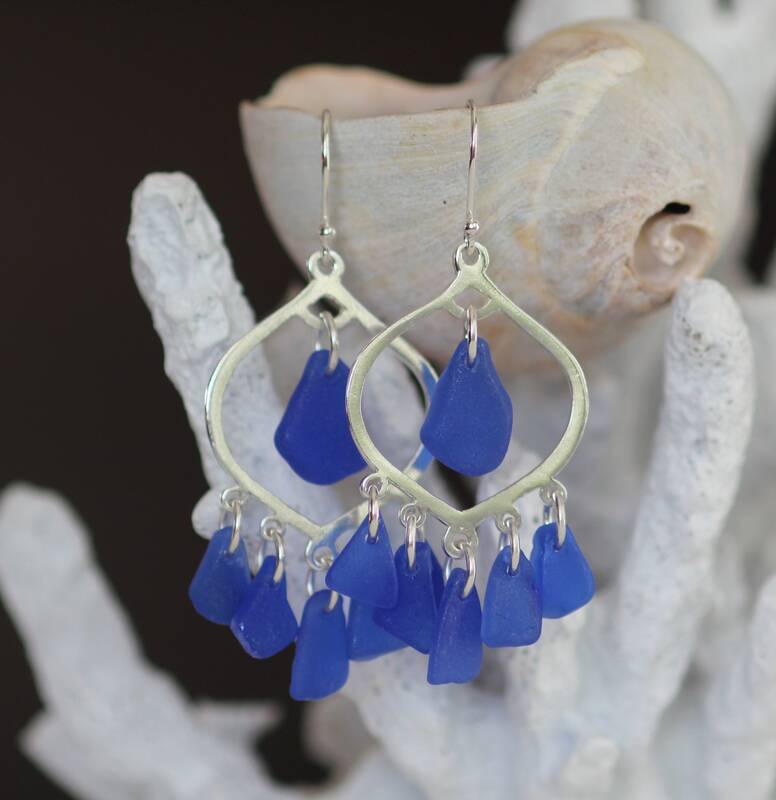 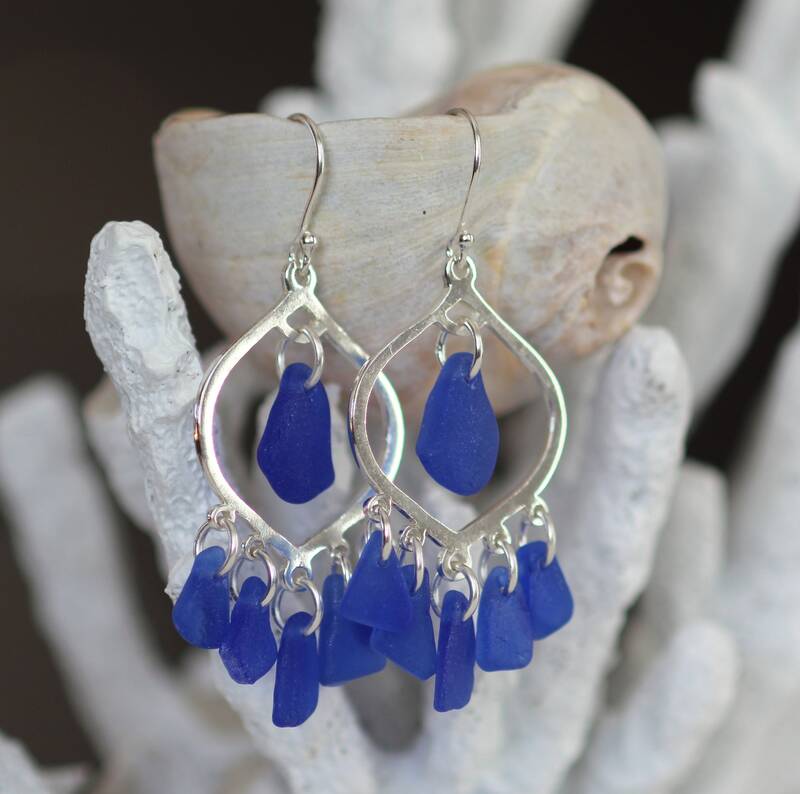 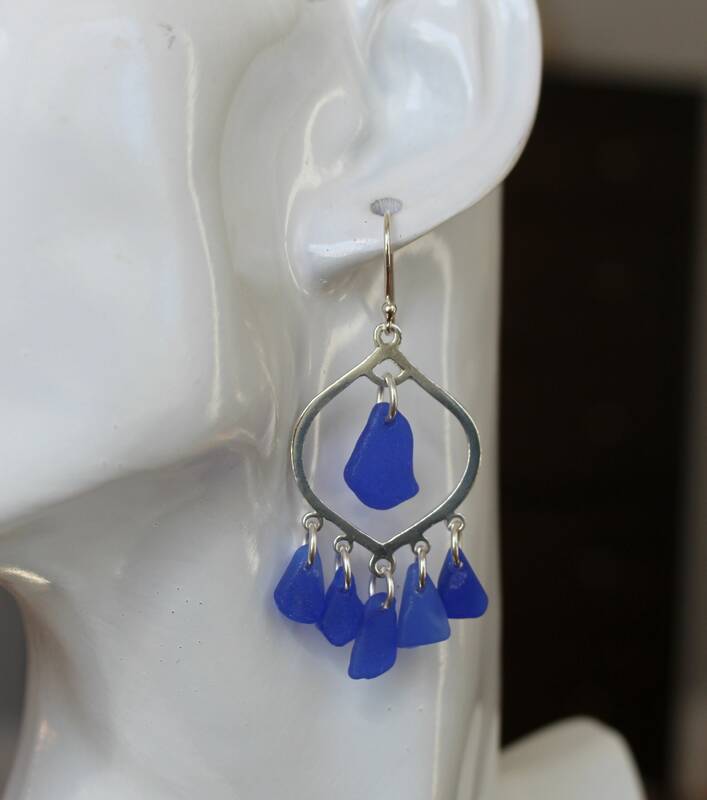 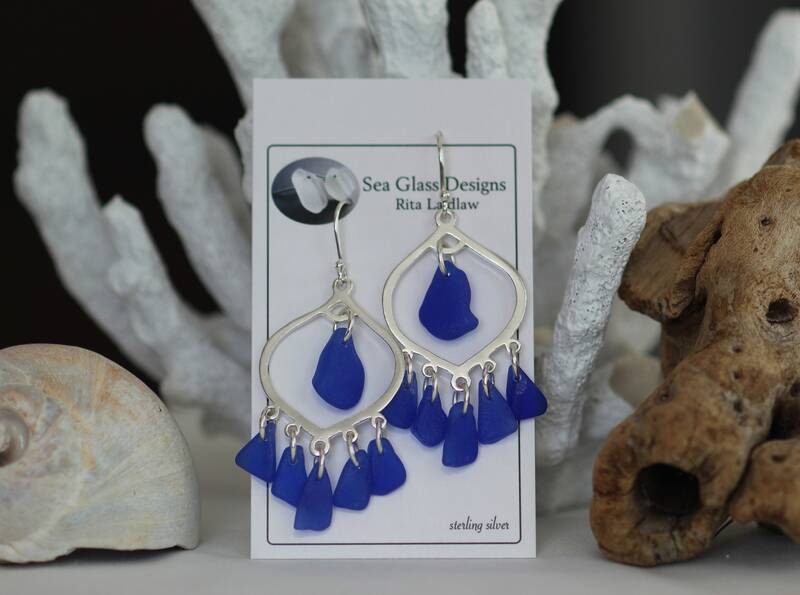 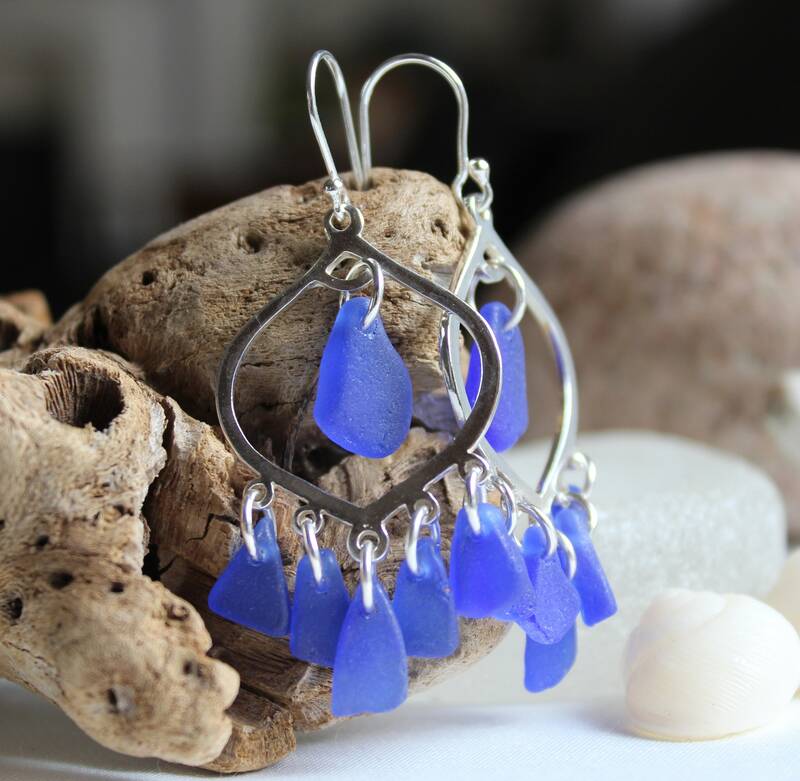 Our Diviner sea glass earrings feature a sterling silver chandelier dripping with genuine blue beach glass gems. 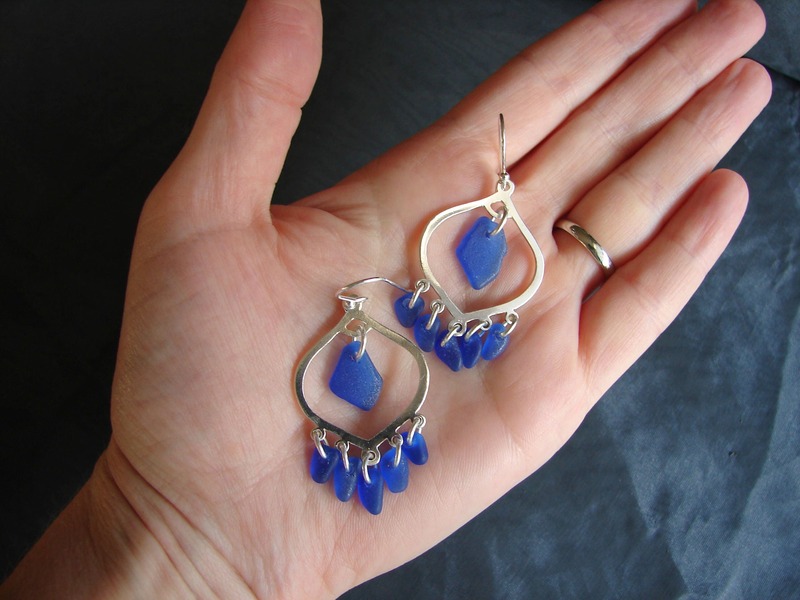 These large boho style earrings measure 2 1/4 inches in length, and have lovely movement. 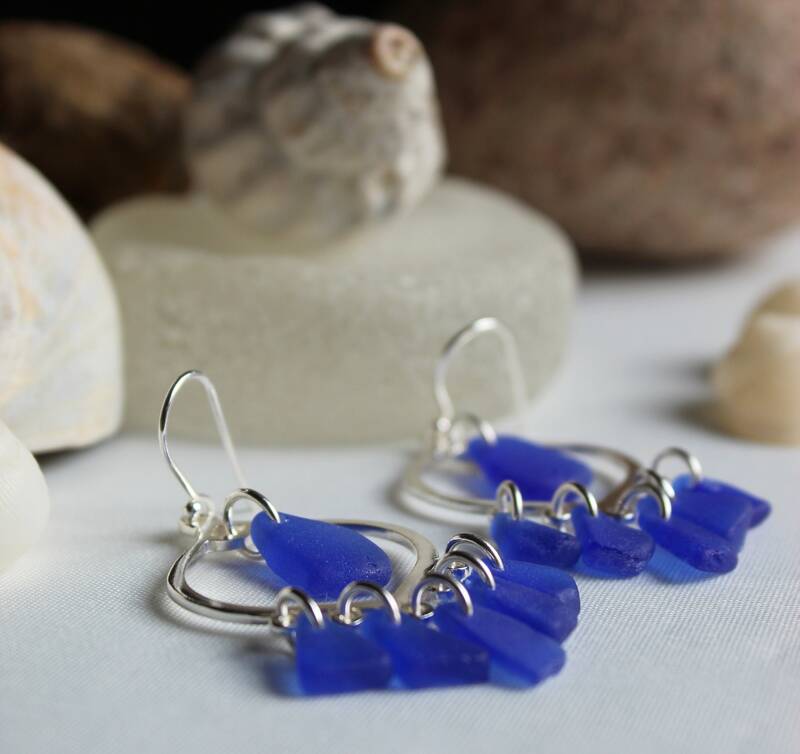 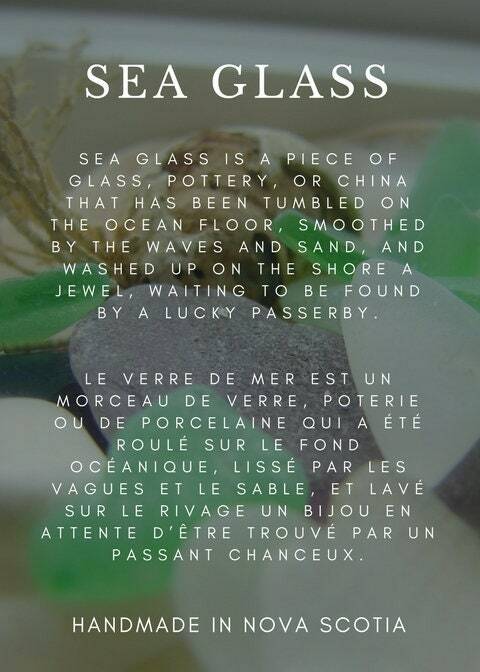 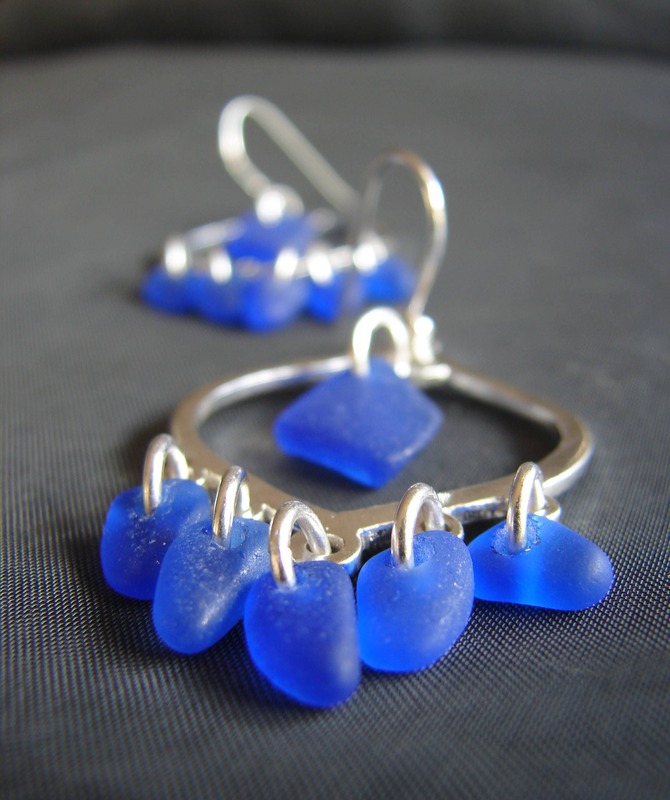 Please note that each pair of earrings is made just for you, and will have the same colour sea glass as pictured, although the shape of the glass may vary slightly.